Since Android came into the market it becomes so much popular because it is convenient, fast and cheaper than any other Operating System. After that much amount of usability and popularity of Android people start exploring its features. It is an amazing platform for communication, entertainment, and many other things by using Android apps. When we talk about Android apps we get a lot of categories of them, but today we are talking about Android Apps To Make Money. Money making apps on Android are those apps which pay you an extra pocket money just by using them. These apps pay you money by advertising or giving you tasks like downloading apps or completing surveys and much more.The concept of each app to pay you money by giving task is different, it can be based on one specific task or maybe they will provide you the several task to get your credit(Money) for them. Whatever the concept will be, we probably let you know in the description of each app. Let’s start with Top 10 best money making apps on Android. Slidejoy becomes one of the popular money making apps for Android which pays you money for Unlocking your screen by sliding. This is quite easy and no necessary task needed to earn money. All you need is simply slide your android screen to unlock your phone. Slidejoy pays you money in dollars, rupee or whatever your currency is. 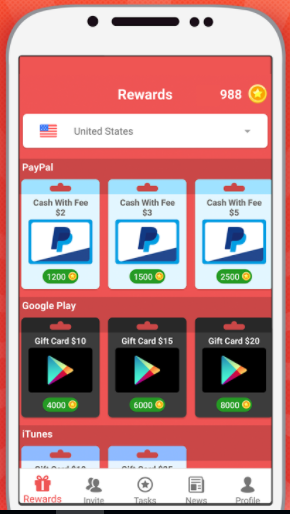 It pays you money through PayPal, you can make gift card of worth that payable Carats (points of slidejoy used to redeem in dollars or other currency ), even you can Top Up your mobile as it supports various operators for the top-up. Along with paying for sliding screen lock, it also pays you for completing surveys and downloading apps. In order to earn money using this app, you needed to register and login into slidejoy app. Simply go to this link and signup as a Normal mode. Remember do not select registration process as Hero mode. Otherwise, it will automatically transfer your Carats to his own account for donation. So just simply select the Normal mode. After successfully creating the account go to the below link and Download the Slidejoy app from play store and login to start earning money. WHAFF is one of the amazing apps that pays you money for completing tasks. It gives you credit of various kind task such as completing surveys, downloading apps. Another best part is you can earn money with no-limit by inviting your friends to register into this app. Whenever someone installs and register through your referral code, you will get referral money for that. If we talk about the payment method then it has a lot of options for that. The average minimum payout is 11.5$ that you can redeem through Bitcoin, Gift card of amazon, google play, facebook, skrill and much more. With over one million downloads on Google play store, this app provides rewards task to download apps. You can download his apps or download apps from the third party. Both ways you will get rewarded with points. The earned point can be used for Paypal, Google Play, Amazon, Skype, Freecharge, Koodo, Fido, TELUS, TrueMoney, Happycash, T-Mobile, Target, MOL, paysafecard, G2A, Tama Reload etc. It is one of the finest apps for Android for making money. Gift wallet is full of providing various gift cards. All you have to do is collect enough points redeem them for various gift cards. You can redeem Amazon gift card, iTunes gift card, PayPal gift card and google play gift card. One of the amazing features is you can get more point to redeem gift card just by inviting friends. If your friends install the app and register through your invite code then you will get 30% of their earnings. After getting a lot of apps which pays you to complete task and download apps. Bitwalking is here with the completely different concept to pay Android users. With Bitwalking app you can generate Walking Dollars with every step you make. You just have to signup in Bitwalking app and make your steps. It will track your steps and add Walking Dollars to your account accordingly. 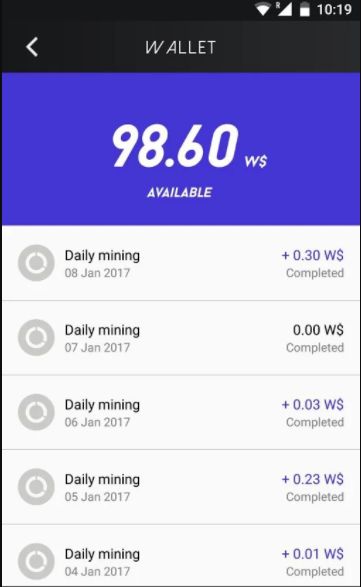 Nowadays people are using digital currency and for those who are really a user of digital currency, this app is for you. Bitmaker pays you in Bitcoin that is one of the most popular digital currency that people are using. It pays you for engaging with cool new apps, games, and products. The minimum withdrawal limit is very low so you can withdraw anytime. If you are a bitcoin user then You may be thinking that if the lowest amount is 1Bitcoin then it is too much. So the answer is probably no, Bitmaker uses the unit Satoshi, the smallest unit of Bitcoin, instead of Bitcoins. Also, you can make more satoshis by inviting your friends. Therefore, you can earn Bitcoin effortlessly without all the hassle! For Free! 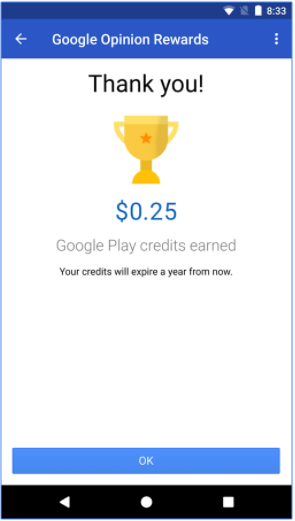 In term of making some extra money through Android, Google has this app. Google Opinion Rewards provides you the facility to give your opinion on a variety of surveys it provides. All the surveys provide by this app are very legitimate. Once you got your survey completed you will get the reward for them. Although not each survey is paid whatever it somehow pays you a good amount to just get your opinion. 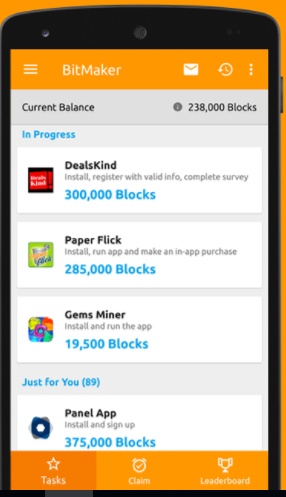 The money you earned through this app can be used for only purchasing products on play store. This app is very lightweight and easy to access. The Above given apps are the best money making apps for Android. If you have experienced any other Android app that pays real money better than above apps then you can let other readers know about them in the comment section below. Also, share your views regarding above money making apps for Android.